Everybody knows Big Fish’s Mystery Case Files line-up. This marvelous and extremely popular franchise is to be extended with a new game. The ninth sequel under the name of Shadow Lake offers you new characters – a psychic medium and the Master Detective. Solve puzzles and detect a sinister ghost, who disseminates chaos in the city. Live scenes and appaling intricate plot will entirely grasp you! Download free Mystery Case Files: Shadow Lake and you won't regret it! Title - Mystery Case Files: Shadow Lake Collector's Edition Game Download for PC and Mac Description - Relax with Mystery Case Files: Shadow Lake Collector's Edition, a Hidden Object game launched by Big Fish Games. Save a town from a spooky ghost! What every Mystery Case Files game is really good at is having a good plot, very original and interesting. In this game called Mystery Case Files: Shadow Lake the storyline is very good, and very original. It is not cheesy at all, and it goes as follows: You play the role of a detective who investigates mysterious happenings in Bitterford in Maine. It is the second half on 20th century and an inmate reveals a mysterious relic that changes the peaceful area into a chaotic space! How? Nobody really knows, but you are sure that there are some supernatural powers that work the whole thing up! Your assistant will be a medium called Cassandra and Jack Talon, a ghost hunter for a TV show. Together, you will try to work out the purpose of the scary relic and to save townsfolk who have disappeared. The storyline is, as you can see very compelling, and it will certainly assure you that this game is worth downloading and playing in the free trial version! The feature that will make you purchase the game and play the full version can definitely by the gameplay! Mystery Case Files: Shadow Lake is Hidden Object game that straight from the start add in some elements of adventure and puzzles and mini games which spice up the whole mixture. For instance, during the first encounter with Cassandra, you are given many drawings which have to be paired with the locations you are visiting, so get ready to think from the very beginning of the game! As for the Hidden Object scenes themselves, they are greatly designed, incorporated as a part of the background, so you can walk around freely and tick off the items you had found from the list as you find them. You can even leave that scene and come back after you are ready to search again! Every time you match the drawings and places, a new area is unlocked which you can visit via your fast-travel map, which is a great thing to have! Also, there is your inventory with different items, a common thing in this series. Hint system works just fine when you are stuck, but don’t rely on it too much, it can be misleading. Puzzles and mini games are pretty much standard, nothing new there. As for graphics and music in Mystery Case Files: Shadow Lake, we can say that they are phenomenal!! Life-like graphics and beautiful scenes make the visual experienced incredible, while the music fills the rest of the atmosphere and is lovely! Sound effects are great, too! 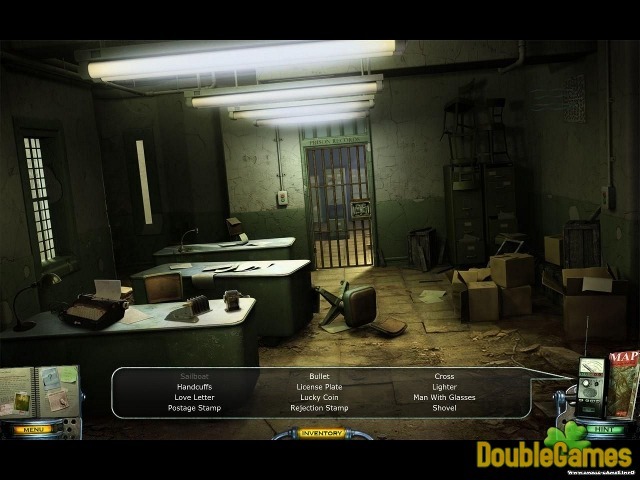 To conclude, Mystery Case Files: Shadow Lake is an unbelievably good game, mainly because of its original and interesting storyline, immersive and addictive gameplay which is not strictly linear; it is also very good because of its stunning graphics that are looking like real life and the music and sound effects which complete the whole impression, creating a beautiful image! You must try this game out! Enjoy!